Loudmia is 10 years old. 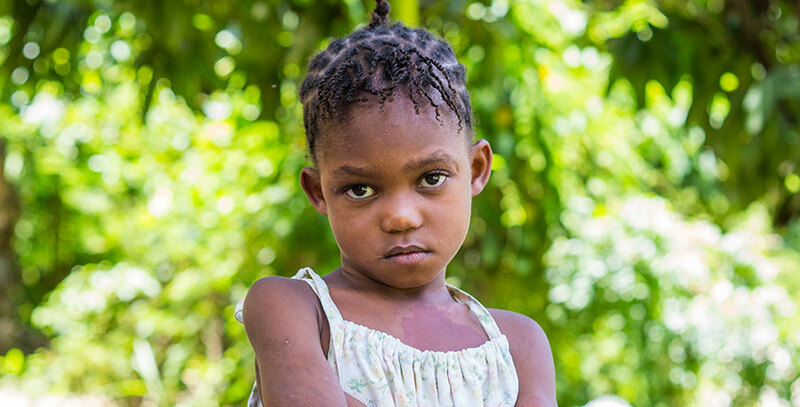 She is from Les Cayes, and her parents, older sister and brother still live there. She likes to run and play with her friends. Manaica is her best friend and you can often find those two running around playing with the other girls and missionaries. Loudmia loves food so much that when she grows up, she would like to become a chef to cook for others. Her favorite activity at the orphanage is playing dolls with the other children. She is one to show her many facial expressions that gives everyone a good laugh.